Some Halloween costumes are better disguises than others. 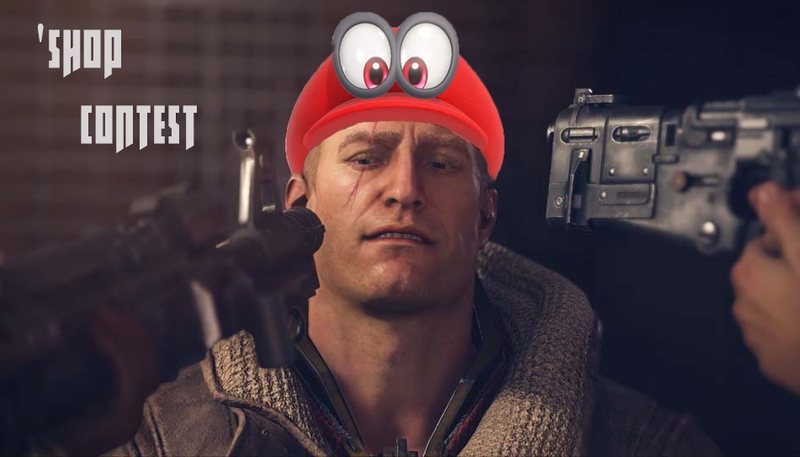 In the spirit of the holiday and of not forgoing another ‘Shop Contest, this week’s prompt will be to take your favorite video game characters, past or present, and dress them up like different ones. Maybe that’s Cloud Strife bobbing for apples as a Witcher, or Zelda carving pumpkins in a set of post-apocalyptic Fallout armor. The options really are endless. Bonus points if it’s explicitly Halloween-themed. That means doing something somewhere between putting a sack full of candy in someone’s hands a GIF of them dancing to Thriller. Cap-outs, like mine above, will almost inevitably lose unless they are unusually clever (or spooky)! The other ground rules are below. See you next weekend with the winners and best of luck to everyone who enters.